ACDelco's engine oil fill caps provide the perfect OE replacements without breaking your budget! Manufactured to factory specifications for fit, form, and function, these oil fill caps make an easy and attractive addition to your vehicle's valve covers, while keeping lubricant in its proper place. 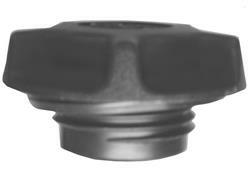 Choose the cap style designed for fitment on your particular engine block.